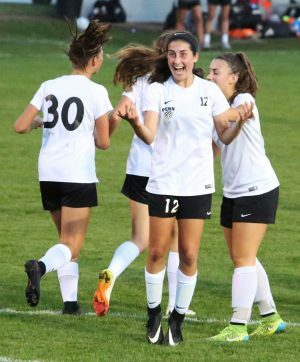 Defending State Champion Penn opens the state tournament at home with a first-round Sectional game against South Bend Riley on Tuesday, Oct. 3. The Kingsmen, who are ranked No. 2 in the nation, play Riley at 6 p.m.
Semifinal action on Thursday will feature the winner of the Penn-Riley game playing South Bend Adams at 5:30 p.m., followed by the LaPorte-Mishawaka game. The Championship Game is set for 7 p.m. on Saturday, Oct. 7. Tickets will cost $6 for a single session and a season ticket for the entire tournament is $10.